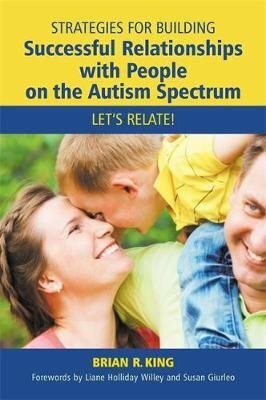 Containing life-changing strategies and solutions, this book will enable everyone who knows, lives with or works with an individual with autism to achieve a positive relationship that fosters cooperation and mutual respect. The author has dedicated over 20 years to studying, observing and implementing communication strategies that help him, his wife, their three children and his clients experience positive relationships. His immediate family are all on the autism spectrum and they work together to understand one another, resolve misunderstandings, and help each other feel important, loved and respected. Sharing their inspirational personal experiences and interweaving every chapter with practical hints and tips, the book looks at how to get communication working for everyone and emphasizes the importance of laying down ground rules and building confidence. This book will be essential reading for family, friends and professionals who wish to communicate more effectively with those on the autism spectrum.